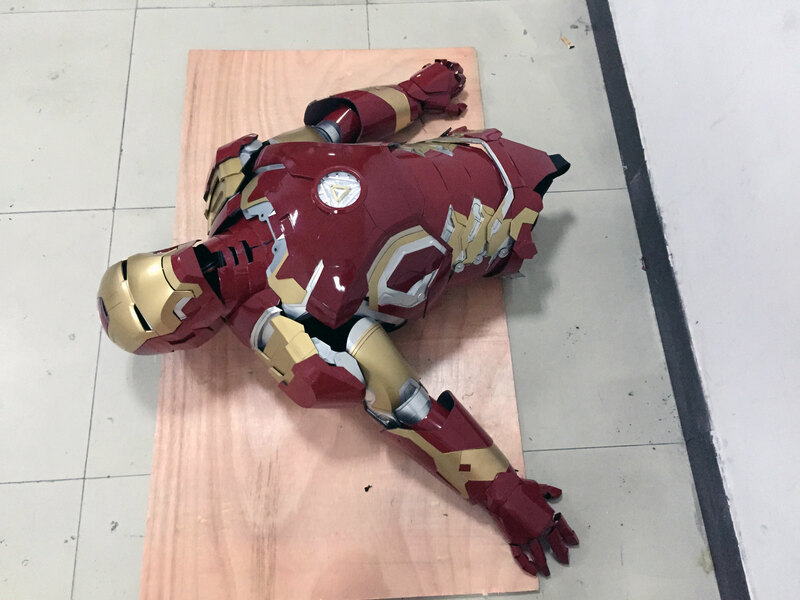 We simplified and optimized the wearing system and joint structure of the new wearable Iron Man suit Mark 43 (XLIII) costume so you can now put on the suit much faster and move more fluently. Enjoy the video! 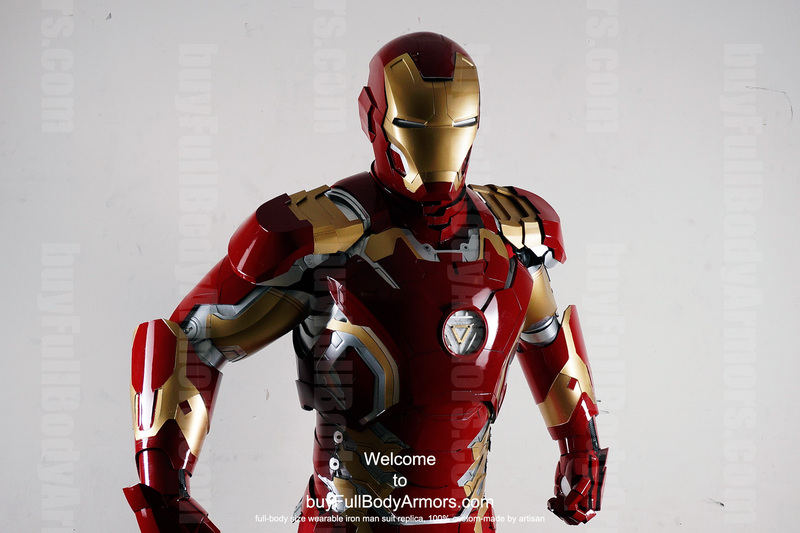 This entry was posted in News,Iron Man Suit Mark 43 XLIII Wearable Armor Costume R&D Milestones,Iron Man Suit Mark 43 XLIII Wearable Armor Costume R&D Full History and tagged Iron Man Helmet,Iron Man Armor,Iron Man Costume,Iron Man Suit,Iron Man Mark 43 armor,Iron Man Mark 43 costume,Iron Man Mark 43 suit,Iron Man Mark 43 helmet,buy wearable Iron Man Mark 43 armor,buy wearable Iron Man Mark 43 suit,wearable Iron Man Mark 43 armor for sale,wearable Iron Man Mark 43 suit for sale,Iron Man Mark XLIII costume for sale,buy Iron Man Mark XLIII costume,wearable Iron Man Mark XLIII costume for sale on Aug 01,2015. 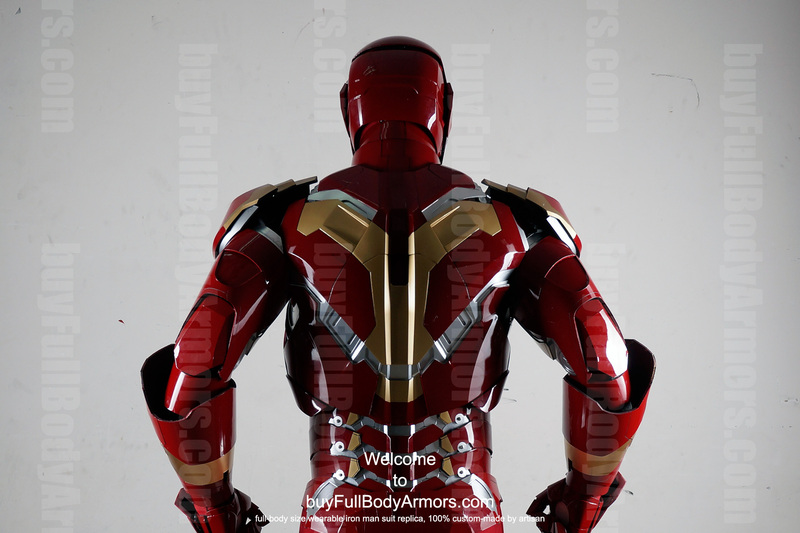 A Peek to the Best Full Body Armor We Have Ever Made! 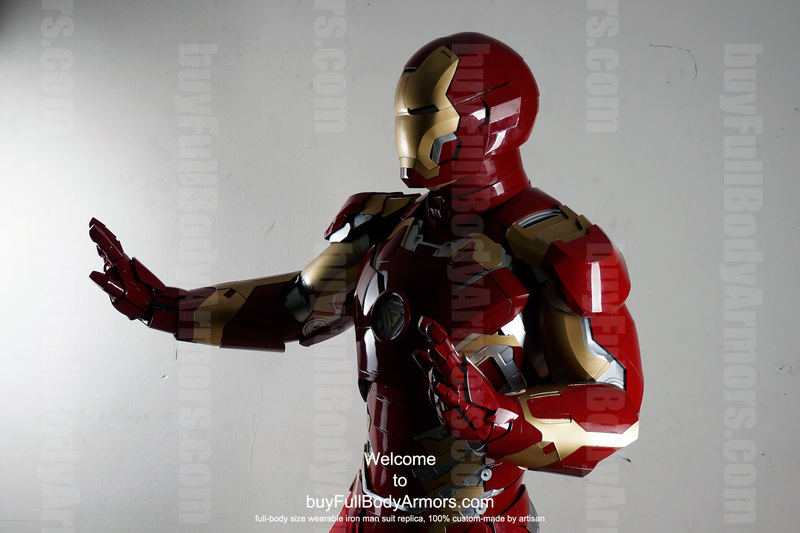 We have finished the development of the Wearable Iron Man Mark 43 (XLIII) Suit Costume. 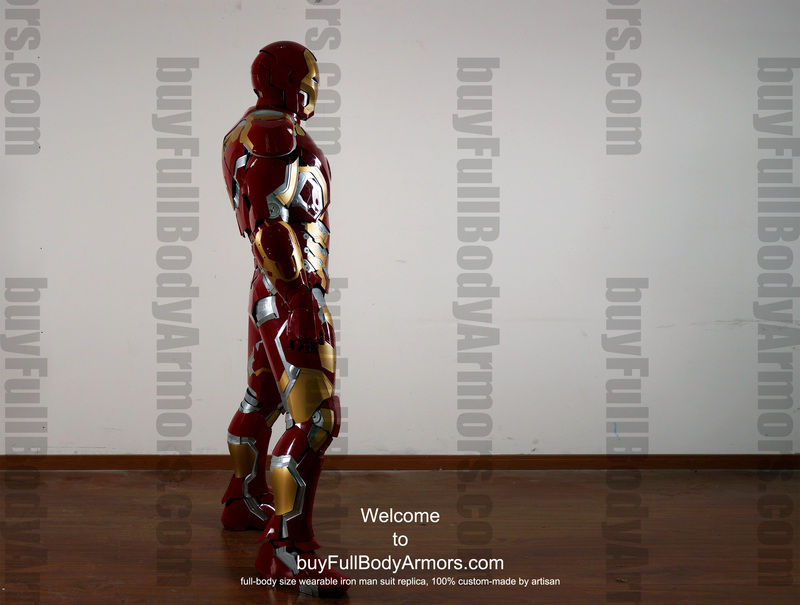 We are now taking photos and videos to show all the features of this most advanced full body armor we have ever built. Place your order now to get the 100 USD discount. In 48 hours, we will keep no discount. 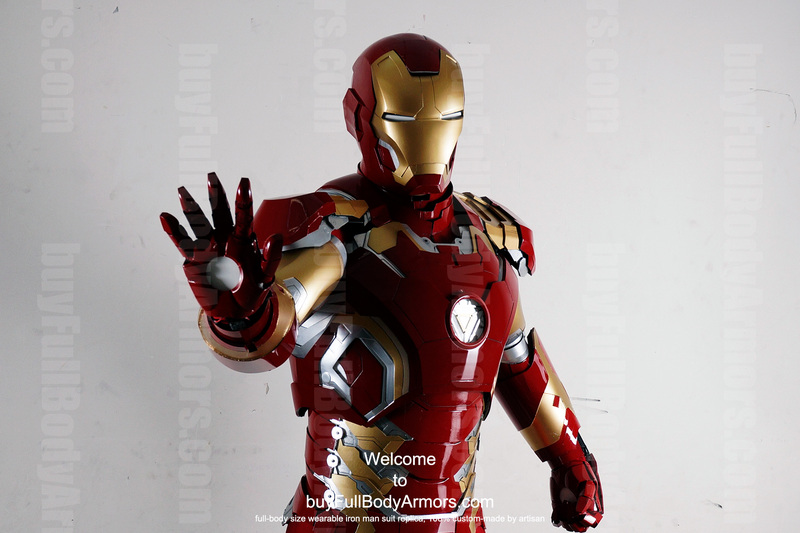 This entry was posted in News and tagged Iron Man Mark 43 armor,Iron Man Mark 43 costume,Iron Man Mark 43 suit,buy wearable Iron Man Mark 43 armor,buy wearable Iron Man Mark 43 suit,wearable Iron Man Mark 43 suit for sale,Iron Man Mark 43 suit for sale on Jul 24,2015. 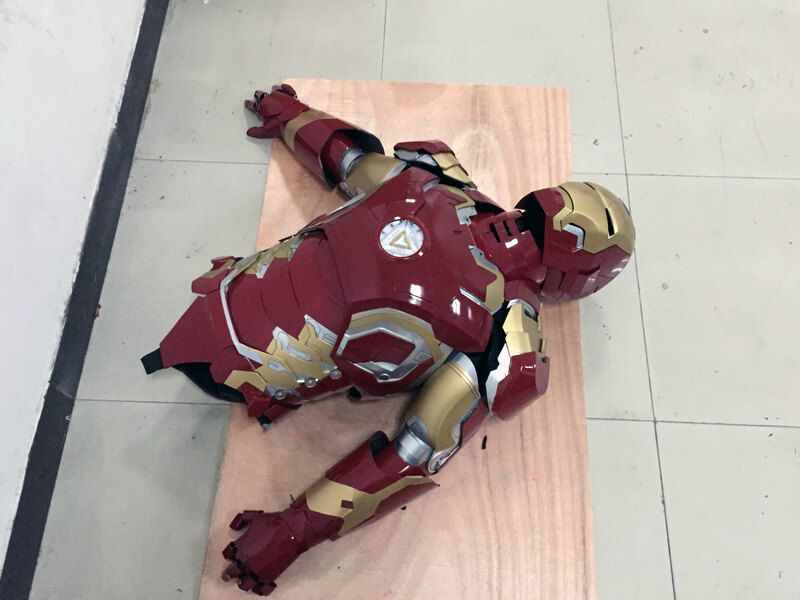 New post for the Wearable Iron Man Mark 43 (XLIII) Suit Costume Prototype! No more words! Just enjoy the new photos! 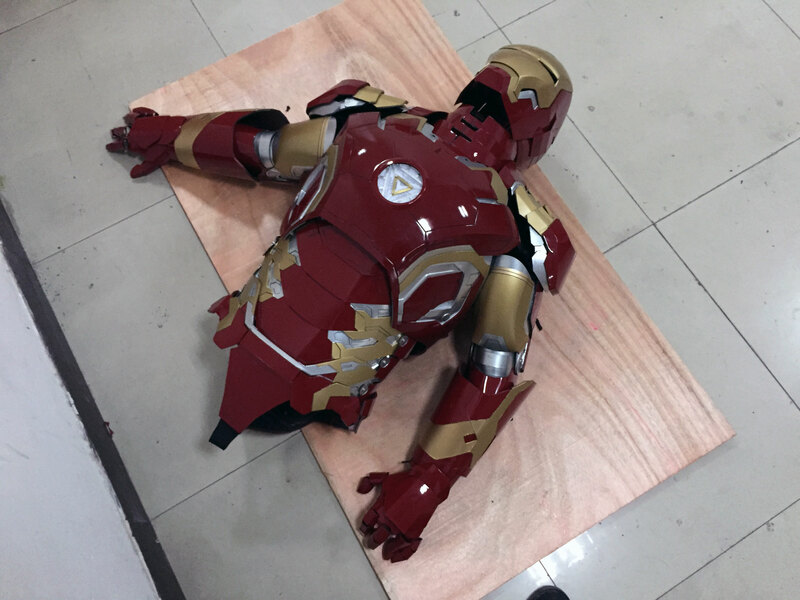 This entry was posted in News,Iron Man Suit Mark 43 XLIII Wearable Armor Costume R&D Full History and tagged Iron Man Armor,iron man armor for sale,Iron Man Costume,iron man costume for sale,Iron Man Suit,iron man suit for sale,Iron Man Mark 43 armor,Iron Man Mark 43 costume,Iron Man Mark 43 suit,buy wearable Iron Man Mark 43 armor,buy wearable Iron Man Mark 43 suit,wearable Iron Man Mark 43 suit for sale,buy wearable Iron Man Mark 43 costume on Jul 16,2015. 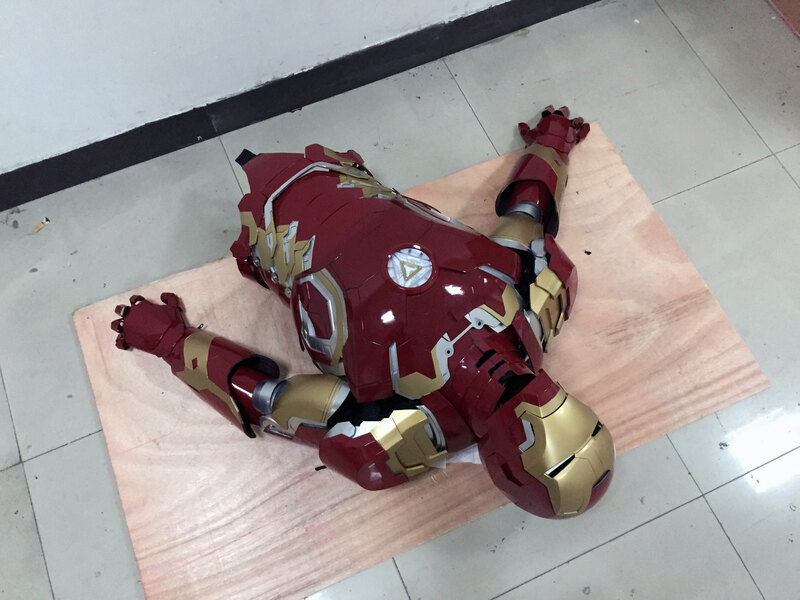 More Photos and Videos for the Wearable Iron Man Mark 43 (XLIII) Suit Costume Prototype! 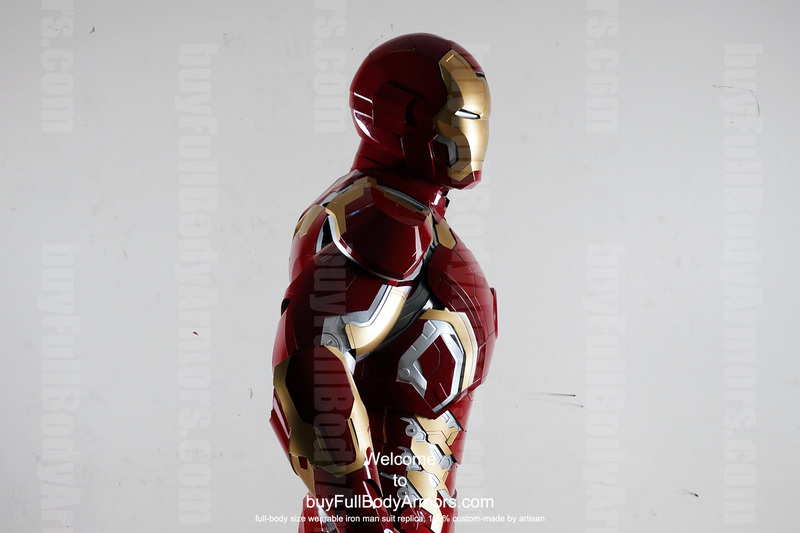 Another peek to the 3rd round photos and videos for the upcoming wearable Iron Man Mark 43 (XLIII) suit costume. 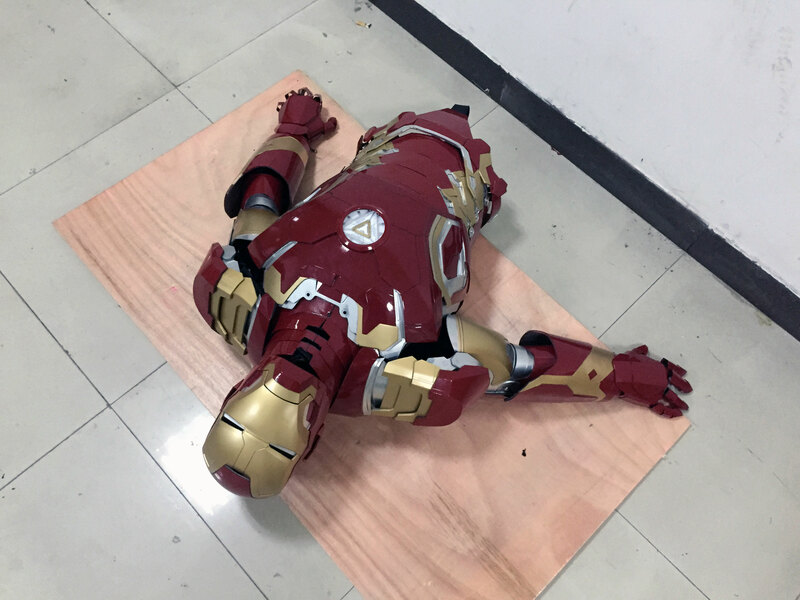 In our tomorrow's post, you will see a model wearing all the finished parts. 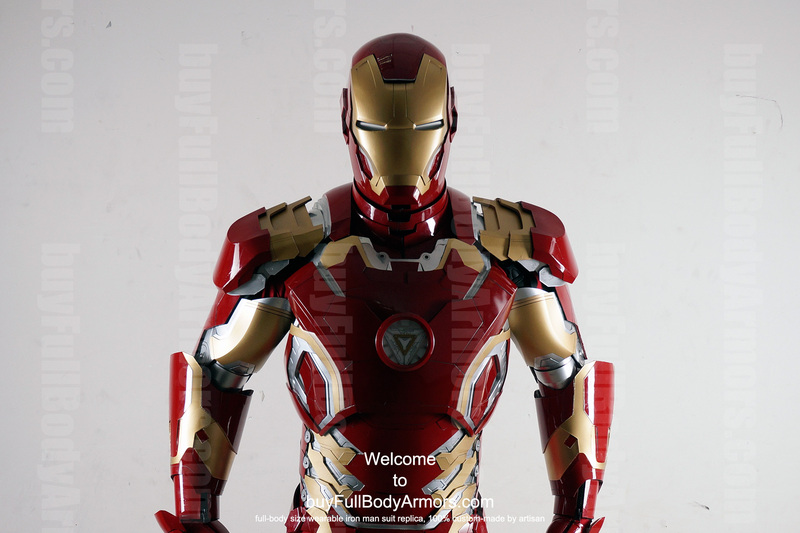 This entry was posted in News,Iron Man Suit Mark 43 XLIII Wearable Armor Costume R&D Full History and tagged Iron Man Suit,Iron Man Mark 43 armor,buy wearable Iron Man Mark 43 suit,wearable Iron Man Mark 43 suit for sale,buy Iron Man Mark 43 suit,wearable Iron Man costume,Iron Man Mark 43 costume for sale,wearable Iron Man Mark XLIII armor for sale on Jul 13,2015.